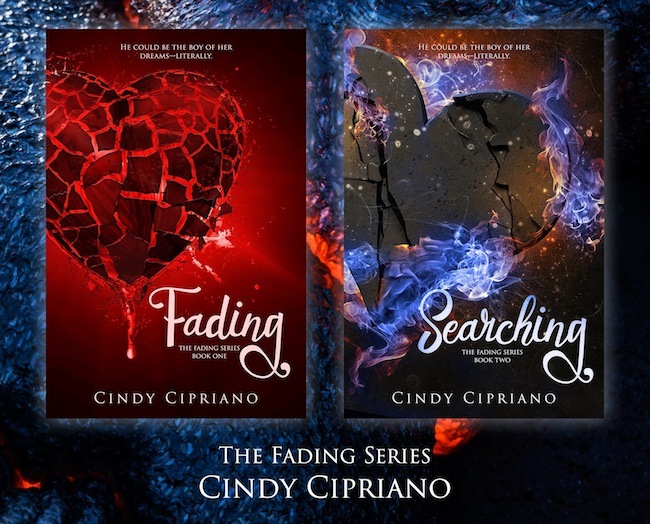 A fast-paced fantasy romance with rich characters and immersive storytelling,Searching is the second book in theFading series by award-winning author Cindy Cipriano. To say Leath is traveling light is an understatement. She’s only bringing three things on her trip. One is a silver heart locket—a gift from her longtime best-friend-turned-boyfriend Victor Santana. Next is a wedding token in the shape of a J, from James Turner. And of course, she’s packing her pistol. That’s it. She knows that when she leaves Woodvine, even her own mother may not remember her in the shifted reality that will be left behind. Bringing anything else would be pointless. But she’s driven now, by something that eclipses everything else, something she just got back: her memories. And now that she remembers James—she won’t stop searching until she finds him. How far would you search for The One? Leath is packing light: just her two lockets (one from Victor, one from James) – and of course, her pistol. She knows that when she leaves Woodvine, even her own mother may not remember her in the shifted reality that will be left behind. But she’s driven by something that eclipses everything else: her recovered memories. Now that she remembers James—she won’t stop searching until she finds him. Where did the idea come from for Searching? 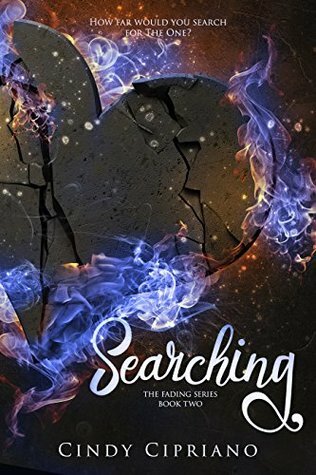 Searching is the second book in The Fading Series. Searching takes up immediately where Fading left off, just as Leath puts her foot down inside Judaculla. But – the entire series crosses genres. It’s a paranormal, dystopian, young adult romance mash-up. Searching is also a crossover, appealing to young adults and up. Who would enjoy reading Searching? Fans of Fading who are waiting to find out if it’s Victor or James. James is sort of a two-sides-to-one-coin kind of guy. Was it difficult writing his character? Definitely, but so worth it! He’s drop-dead gorgeous and funny, but he hovers over dark territory. It was a challenge writing him because I wanted my readers to see what Leath sees in James. In Searching, fans will see just how deep James’s feelings for Leath go. And Leath’s other love interest, Victor, was it hard to write him? Victor is the definition of the perfect guy. He’s good-looking, funny, confident and charismatic. Not to mention he has an exceptionally beautiful heart. Who is your favorite character in Searching? Ever continues to be my favorite character. She’s the girl you love to hate. I think we’re all hoping that in the end, she’ll do the right thing. The problem is we lose a faith in her each time she opens her mouth. As I continue writing the series, I’m currently working on book three and James is fast becoming a close second to Ever as my favorite character. I think readers will enjoy watching James’s growth from Fading to Searching to where I am now in writing the series. 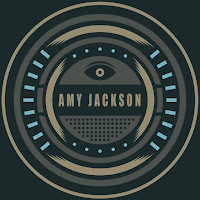 Who designed the cover of Searching? The talented Marya Heidel. Isn’t it stunning?! How many books are in the Searching series? There will be at least 4 books in the series. How can readers keep up with you and the Fading series? Anything and everything about The Fading Series can be found at Clean Teen Publishing or CindyCipriano.com. Cindy Cipriano lives in North Carolina with her husband, son and their 27 pets. Just three dogs who think they are children and three cats who think they are raccoons. It only seems as if they make 27. When Cindy isn't writing, she enjoys spending time with her family and the avoidance of cooking. 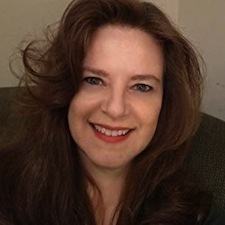 Cindy's first novel, The Circle, Book One of The Sidhe won the 2014 Moonbeam Children's Book Silver Award for Pre-Teen Fiction - Fantasy. Other titles in the series include The Choice, Book Two of The Sidhe (2015) and The Lost, Book Three of The Sidhe (2017). This seven-book series is published by Odyssey Books. Miller's Island Mysteries #1 The Case of the Toxic River (2017) is the first in her eleven-book science mystery series (Vulpine Press). #2 The Case of the Catalyst will release in 2018. Look for Fading, the first in her young adult series, in April 2018. (Clean Teen Publishing). Fading is the tale of first loves and the consequence of dreaming up Mr. Right.